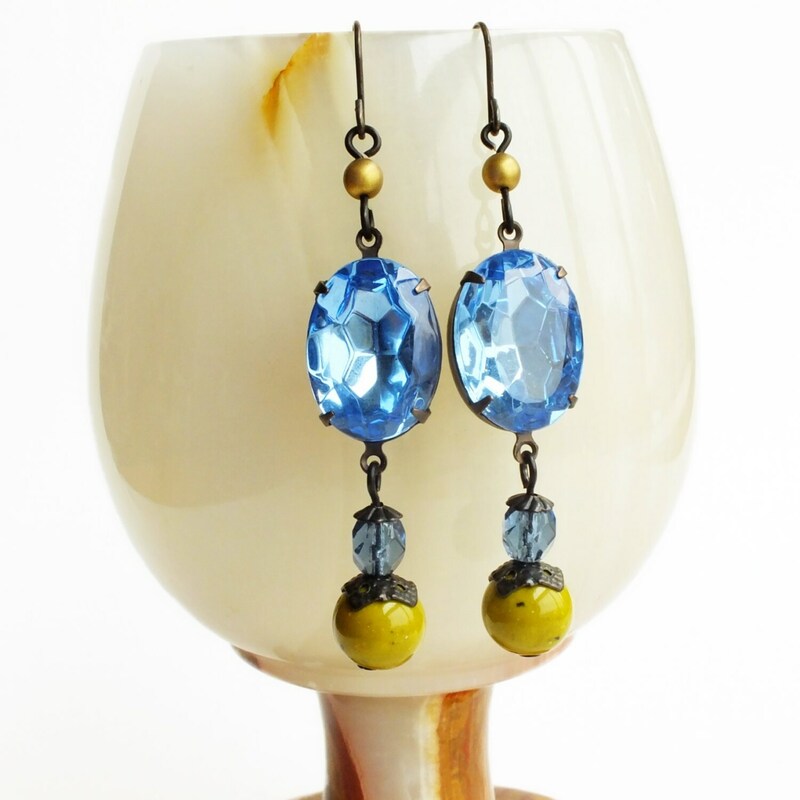 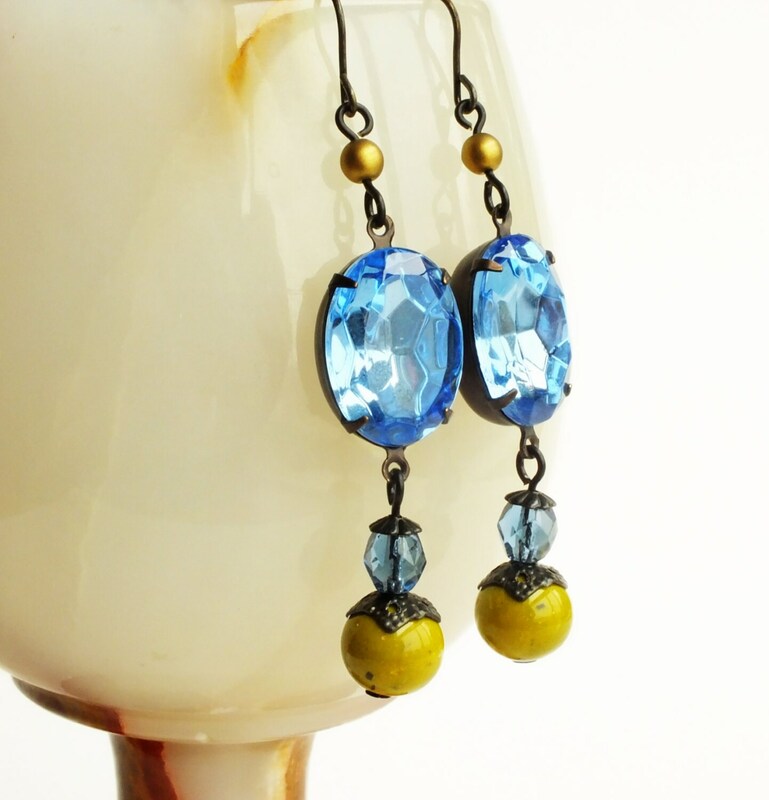 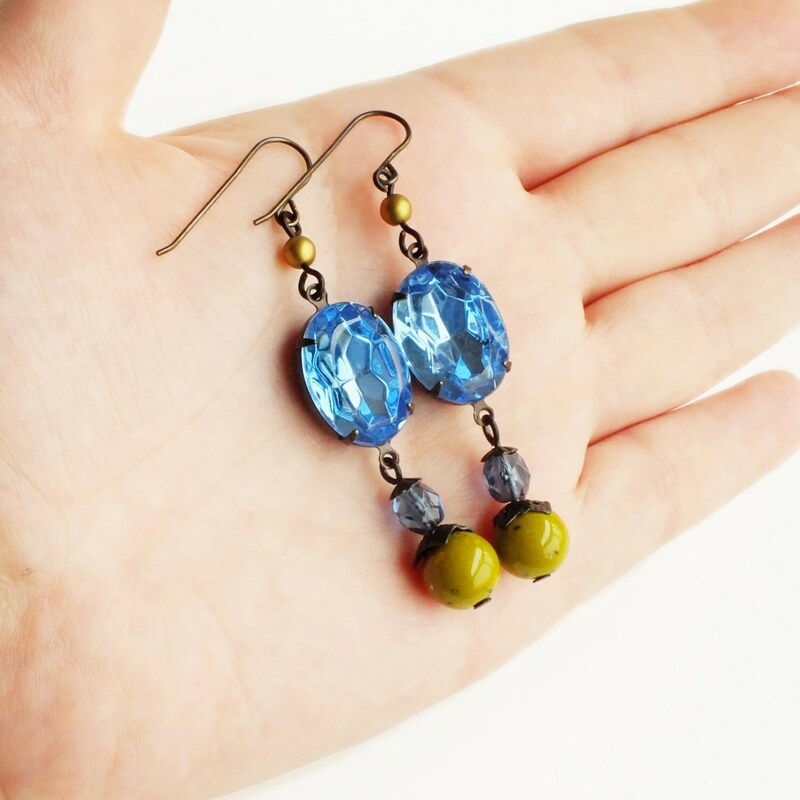 Handmade blue green rhinestone earrings with vintage glass crystals and green beads. 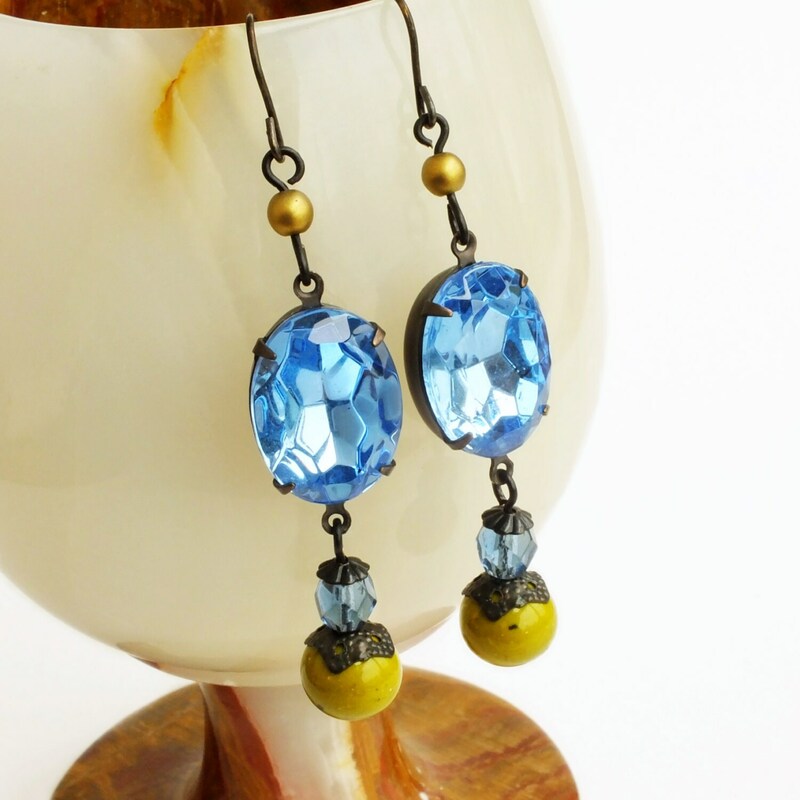 Genuine vintage glass crystals and beads. 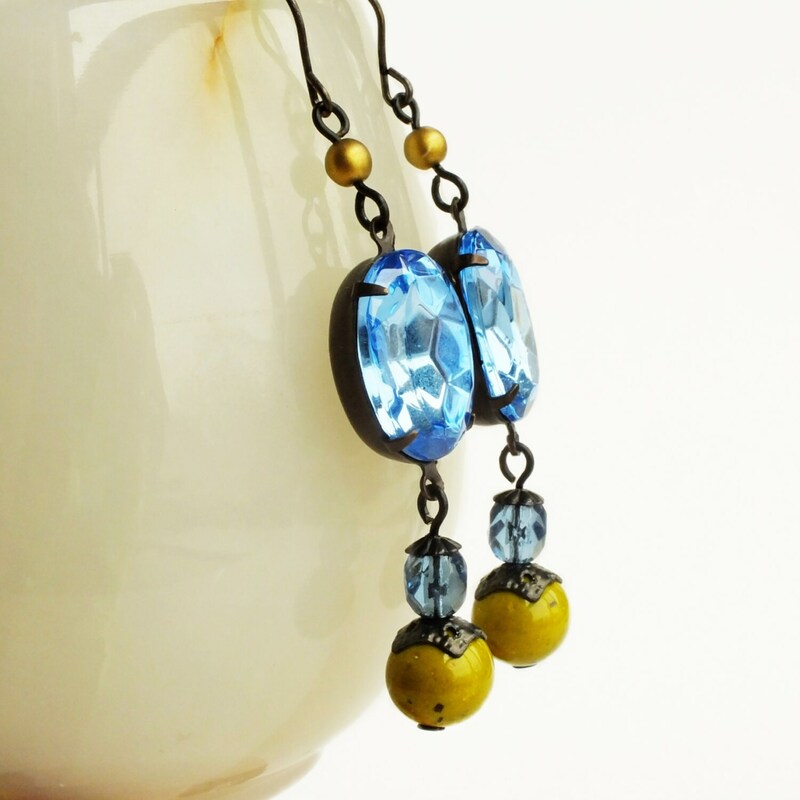 Made with vintage light Sapphire blue glass rhinestones I set in dark matte brass pronged frames adorned with dangles of vintage olive green Lucite and indigo glass beads.